ULTRA SEAM US-200 - Ultra Seam, Inc. The Ultra Seam standing seam system utilizes state of the art technology for roof integrity and positive weather-tightness. 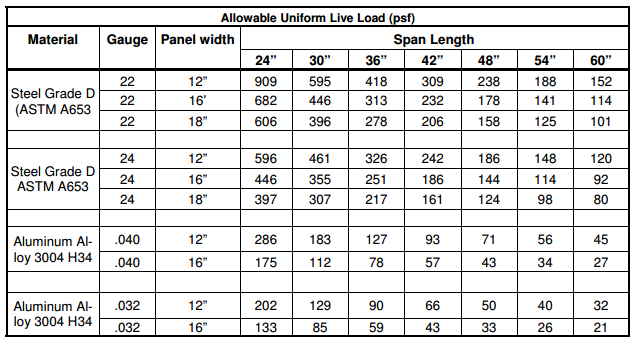 The Ultra Seam US-200 panel has been extensively tested in both steel and aluminum,and meets the stringent requirements of the “Standard Test Method for Structural Performance of SSMRS by Uniform Static Air Pressure Difference,” which has been adopted as ASTM E-1592. 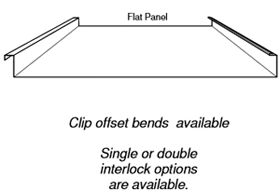 Seams require machine closing, by either hand or power seamers, The seaming process completely encloses and seals all clips and fasteners for the most watertight seal available. 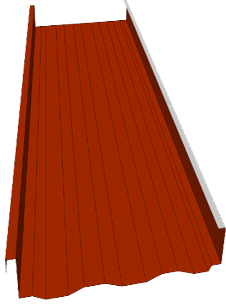 The standing seam system is especially suitable where roof slopes are long and/or low, and unusually long panels are required. Available in various gauges of galvanized, galvalume, zincalume, aluminum, Zinc, Stainless and copper. Regardless of which material is selected, the optional stiffening beads are highly recommended in order to reduce the slight surface waviness of the metal known as “oil-canning”. NOTE: “oil-canning” is a natural phenomenon inherent in sheet metal products and therefore is not cause for rejection of the material.